The NCAR Directorate created the Data Stewardship Engineering Team (DSET) to lead the organization’s efforts to provide enhanced, comprehensive digital data discovery and access. This community-driven infrastructure will support a user-focused, integrated system for the discovery and access of digital scientific assets that include datasets and supporting metadata, publications (text,images, audio, video), software applications, and model codes. The DSET relies on cross-organization participation. 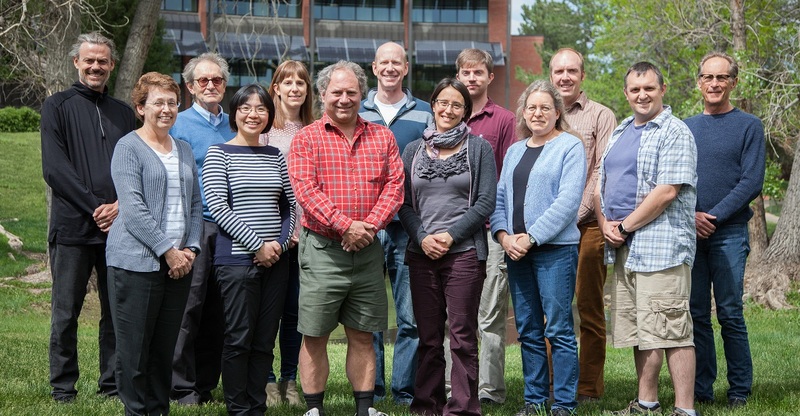 The DSET membership is constituted by representatives from each NCAR lab, the NCAR Library, and UCP. A minimum of one representative has been named from each of these units by their director. Tor Mohling (Research Applications Laboratory, RAL), Linda Cully (Earth Observing Laboratory, EOL), Don Stott (Earth Observing Laboratory, EOL), Sophie Hou (Computational & Information Systems Lab, CISL), Abby Jaye (Mesoscale & Microscale Meteorology Laboratory, MMM), Daniel Ziskin (Atmospheric Chemistry Observations & Modeling, ACOM), Nathan Hook (Computational & Information Systems Lab, CISL), Rebecca Centeno Elliot (High Altitude Observatory, HAO), Matthew Mayernik (NCAR Library), Louisa Emmons (Atmospheric Chemistry Observations & Modeling, ACOM), David Schneider (Climate & Global Dynamics, CGD), Ryan May (UCAR Community Programs, Unidata), Steven Worley (Computational & Information Systems Lab, CISL). Not shown: Brian Bonnlander (Computational & Information Systems Lab, CISL), Christy Grant (Computational & Information Systems Lab, CISL), Don Kolinski (High Altitude Observatory, HAO), Eric Nienhouse (Computational & Information Systems Lab, CISL). An NCAR/UCP/UCAR team of software engineers, scientists, and curators is working to make research results and other digital assets publicly accessible in a unified way.